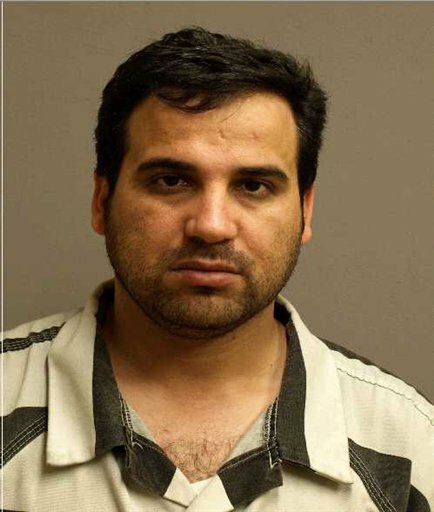 Louisville, KY - Court records say that federal authorities unknowingly had evidence linking an Iraqi refugee in the United States with a roadside bomb found in Iraq in 2005. The FBI had the fingerprints of 30-year-old Waad Ramadan Alwan on file, court records say, after they were lifted from an unexploded bomb. Alwan was admitted into the United States in 2009. The FBI matched the fingerprints to Alwan in January. Alwan was charged last week with conspiracy to kill a United States national, conspiracy to use a weapon of mass destruction and attempting to provide material support to terrorists. Mohanad Shareef Hammadi, 23, is charged in the same plot with attempting to provide material support to terrorists and knowingly transferring, possessing or exporting a device designed or intended to launch or guide a rocket or missile. I am truly surprised to read that this has happened. I visit the United States six or seven times a year. As an alien I (quite rightly) have to go through the immigration controls at the port of entry - where my photograph and my finger prints are taken. I have absolutely no objection whatsoever to this. But when I read stories like the one above, I wonder just what happens to all those fingerprint records so assiduously taken by your immigration officers. who was president of us in 2009? To GB Jew-#1- I'm was really surprised that when you stated that you visit here six or seven times/year. In your posts, you are always giving us the needle, and I see that you have again done so. Do you think that your immigration and customs procedures are so air tight, with all of the radical meshuganahs in the UK? For example, the news showed many Muslims in London protesting our killing of Bin Ladin. The British Bobbies accorded kid glove treatment to those jihadist demonstrators! “ I am truly surprised to read that this has happened. Some states and localities -- New York City is one -- routinely cross-check fingerprints of everyone they arrest with immigration files. While serving on a federal grand jury last year we indicted dozens of felons who had been previously deported but managed to slip back into the US -- one of whom had actually been convicted of first degree murder. But it costs money to do this and local governments don't have any money any more. Personally, I can see absolutely no cause for complaint on your part on GB_Jew's current contribution. In fact, in your zeal to denigrate him, you did not even address the question he posed: " I wonder just what happens to all those fingerprint records so assiduously taken by your immigration officers?" What objection could you possibly have to him visiting the US frequently? Has he done *you* any personal harm? For my part I enjoy his wry insights into life. You are under absolutely no obligation to read GB_Jew's comments. If you do not like them, just ignore him and pass on to the next contributor. As Shmulik (aka Anonymous #3) has told us of his dismay at the news that I visit the US several times a year I think it would be a chesed to let him know my travel plans (iy"h) for the next few months. I shall be in NYC on the second Mondays, Tuesdays and Wednesdays of this month (June), July and August. I already have clearance from the US State Department (in the form of a visa waiver) to enter the United States, but it would appear that R' Shmulik also needs to add his 'gushpanka' as well. Ho hum. However, if he wishes to know my travel plans for later in the year I will be only too pleased to oblige him. If he wishes to meet me to bring me to din Torah I will be equally happy to satisfy him on that point too. I wonder what his charges would be? Thanks to CharlieHall (#4), a rare pillar of considered and objective contribution to this website, for his response to my original question.